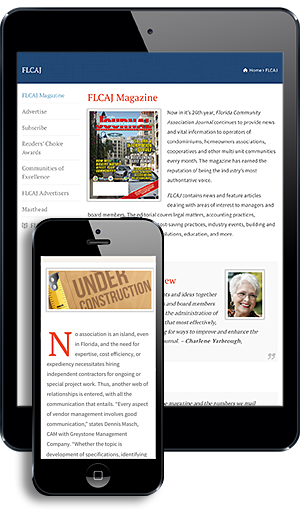 What’s in store for the readers of the February issue of the Florida Community Association Journal (FLCAJ)? Turn to page 6 to read the various mini-articles in “Welcome to the Board” that provide boards of directors with important operational information. In his Florida Law column on page 30, Michael Gelfand of Gelfand & Arpe reminds condominium associations to file their annual depository report and to not try to take collections shortcuts. Betsy Barbieux is with Florida CAM Schools, and in her article “Thieves, Thugs, Pirates, and Jackals,” on page 34, she writes about the new penalty guidelines in the Florida Administrative Code Rule 61B-21.003 and how to avoid falling victim to such descriptions. Scott O’Connor with TRC Worldwide Engineering writes about the assistance drones can give in managing the property association effectively in his article on page 40. 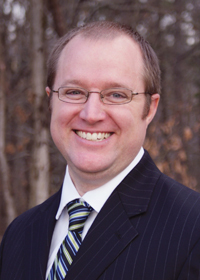 Brian Fischer of SOX Erosion Solutions writes on page 60 about how to approach shoreline recovery as a key to bouncing back from the damage caused by 2018’s Hurricane Michael. Finally, Tammy Leeman with Absolute Patio Furniture Restoration helps boards of directors to understand whether they should replace or restore their outdoor patio furniture. The article is on page 70. We look forward to hearing from you in 2019.